The West Hollywood Northern Italian eatery will be clearing out its main dining room for dancing and a live DJ. Patio seating is available for diners interested in specials like roasted pumpkin pizza with gorgonzola and speck and pumpkin margaritas, courtesy of chef Andrea Cavaliere and Luigi Capasso respectively. No cover charge. 9 p.m to 1:30 a.m.
You all know Salt & Straw by now, the artisanal small batch ice cream shop on Larchmont. Head ice cream maker Tyler Malek has introduced twelve new flavors indebted to LA ingredients, including Santa Ynez Valley Walnut Oil and Cinnamon Apple Doughnuts using fresh doughnuts from Sidecar. For Halloween, Malek has a handful of new creations: The Chocolate Graveyard (chocolate ice cream, chocolate soil), Dracula’s Blood Pudding (spices and cream cooked into real blood pudding), Candy Corn, Essence of Ghost (scotch and vanilla sherbet with black cocoa), and Witch’s Brew Potion (featuring a compound called terpene found in citrus fruits and coniferous trees). Available by the scoop and pint. 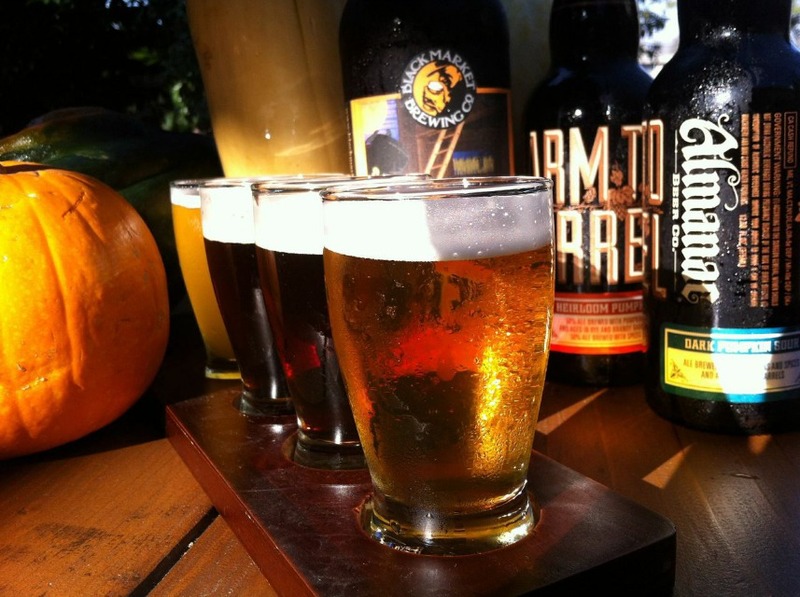 The DTLA based brewery is hosting three Halloween events. The first one, HOWL-o-ween (10/30), will allow customers to bring their dogs to Angel City’s newly refurbished beer hall. A $10 ticket gets you a pint of beer and food from Southern Fried Vegan. And, yes, there will be a dog costume contest. The following a free party will be thrown with performances by local bands Welfair and Blackwater Jukebox. Dress up for a chance to win cash and Angel City swag. Outside, Dogtown Dogs will be hawking gourmet frankfurters. Sunday marks the Dia de los Muertos celebration, from noon to 10 p.m. Local artists will show off works alongside a Beer Bazaar with specialty vendors and food from Taqueria el Severo and Si Paletas. The seaside bar in Venice is upping their Halloween game by setting up a haunted house for customers to pass through (nothing too scary, just classic tricks like bobbing for “eyeballs” and digging your hands into spaghetti “brains”). Once inside the Crab Shell Bar, you’ll have the option to decorate your body with face paint or henna tattoos, or sneak in a session with a Tarot Card reader. For something with a bit more edge, make your way downstairs for burlesque show performed by Mojo Voodoo Gypsies and The Vintage Belles.